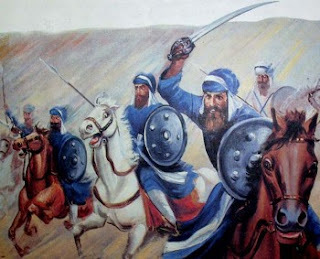 Sikhs, as a community, have stood tall as a breed of warriors. From the gallant Gurus to the Indian Army, Sikhs have never backed down from going to war for the sake of humanity and the country. 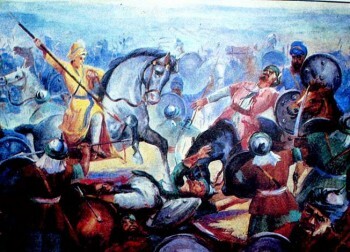 One of the many Sikh war cries is the famous ‘Sava Lakh Se Ek Ladaun Tabhi Gobind Singh Naam Kahaun'. You surely would have heard it loud and clear in the movies, but have you ever wondered where it came from? Here, this is the story behind it. The saying came from the Supreme Guru of Sikhs, Guru Gobind Singh during the Second War of Chamkaur Sahib, in 1705. 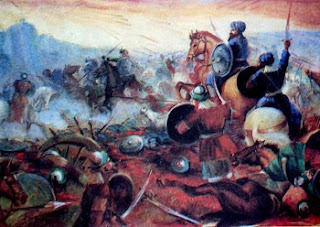 Mughal Emperor and Hindu Hill Chiefs settled at a truce and a safe passage to leave Anandpur Sahib was offered to Guru Gobind Sing and his fellow Sikhs. While Gobind Singh thought that the Mughals weren't chasing them anymore, an informant had informed Wazir Khan about their movement. Hot on their heels, the Sikhs battled extreme weather while crossing the river. 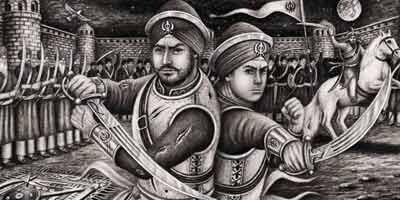 "Call me Gobind Singh, only, when each of my Sikh will fight with more than one and a quarter lakh of enemy." The battle went down in the history as one of the greatest ever!